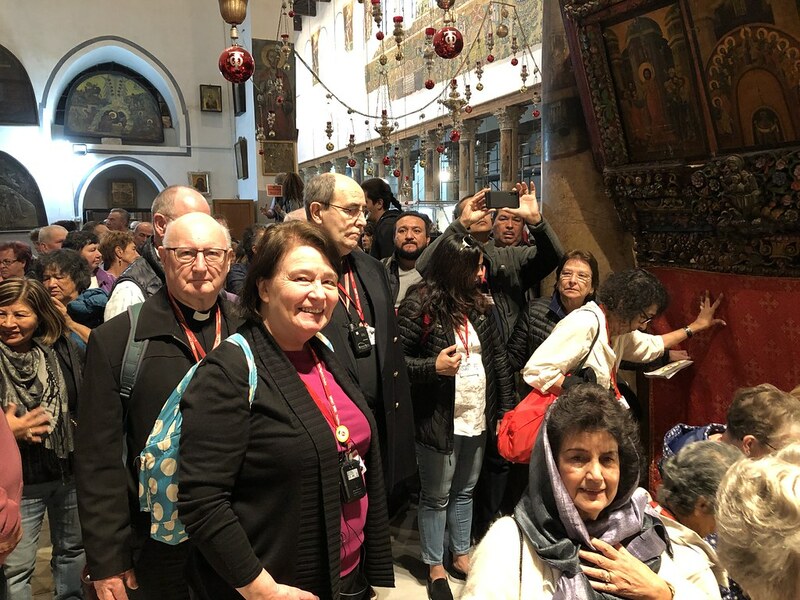 At the end of Day 3 of the pilgrimage, Bishop John Wilson describes the special privilege of visiting the places that commemorat the Lord's Nativity in Bethlehem, beginning with a video greeting while the pilgrims wait in a quee to enter the Church of the Nativity. 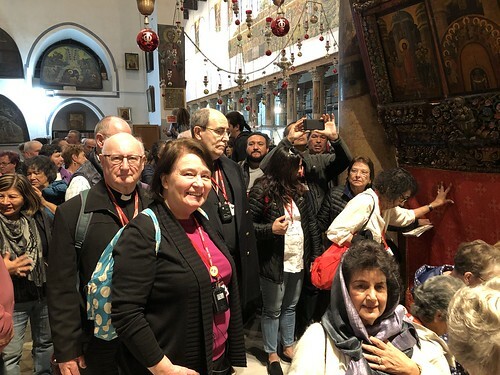 Day three of our pilgrimage began with a trip to the Church of the Nativity in Manger Square, Bethlehem. We entered through the small doorway, a reminder to humble ourselves in the presence of the Lord. Passing through the beautifully ornate upper church, with its resplendent icons and mosaics, we went down to the Grotto. 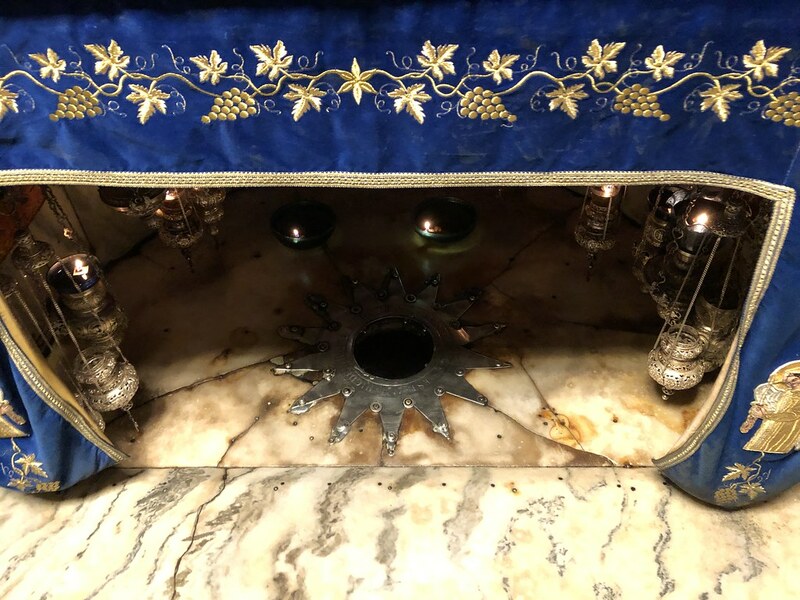 A silver star set into the floor marks the site where Jesus was born. It was intensely moving to be in the place of our Saviour’s birth. Bethlehem means ‘house of bread.’ Although it’s on a hill, there are plains adjacent where the crops would have been grown to make the bread. It was here that the shepherds were tending their sheep when they were visited first by one angel, and then by the whole angelic host. 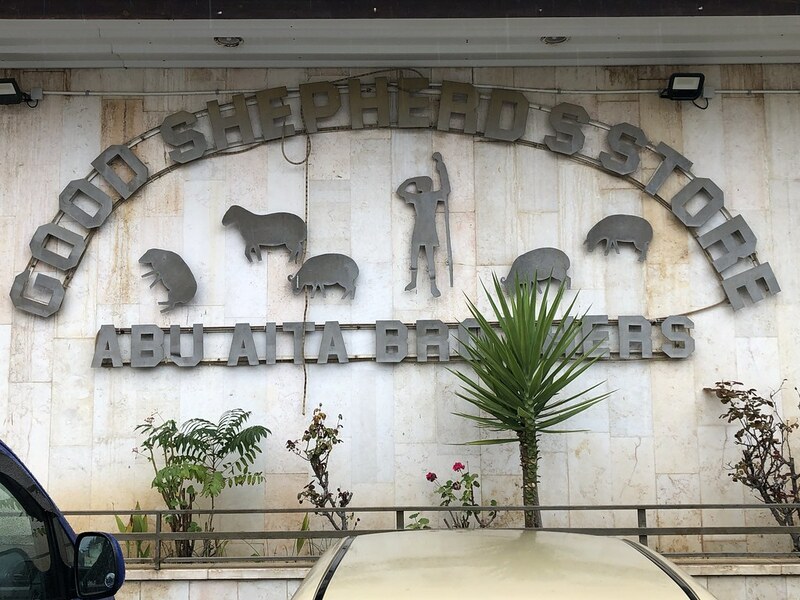 At the site of the Shepherds’ Fields we visited a cave where they would have gathered with their sheep. 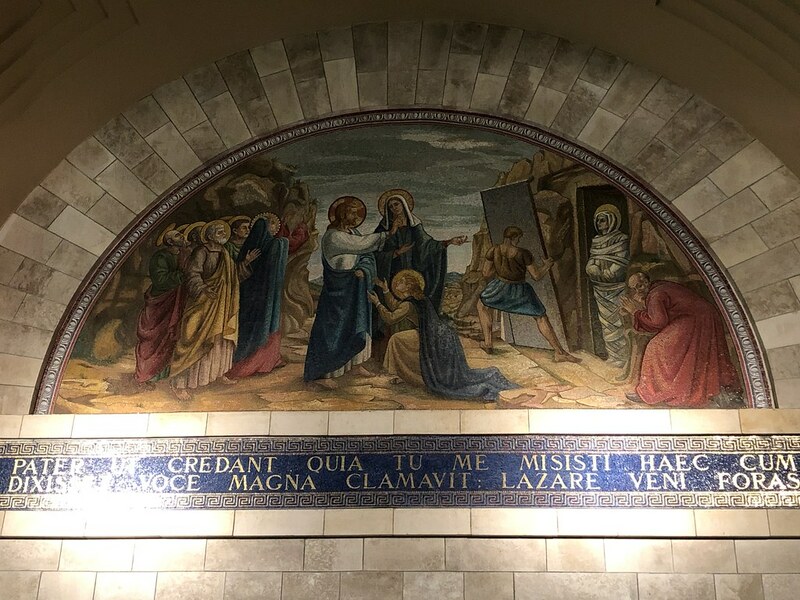 We sang the Christmas hymn ‘Angels from the realms of glory’ with its chorus ‘Gloria in Excelsis Deo!’ Bethlehem brings home the truth of the nativity of Jesus as told in the Scriptures. Christ was born for us: born that we may no more die, born to give us second birth. For good measure we went to the ‘Christmas Bells’ restaurant for lunch. Our guide, a Palestinian Christian, shared with us some of the challenges facing his people. After lunch we were welcomed at a co-operative run by Palestinian Christians. They make a living crafting gifts from olive wood and we were happy to support them. How important it is that we witness to this hope we have in Jesus. And that our lives, our homes and our parish communities, are ‘Bethanies’ of friendship for those in need. Additional photos from Day 3 are available here.